Happy Weekend! Hope this week finds you well! It has been a crazy week for our house and it all started with a fever. My husband decided to bring strep throat into this house and share it with me!! How dare he do that? So it has been a not so fun week for me. But I am on the mend and I could not be happier. 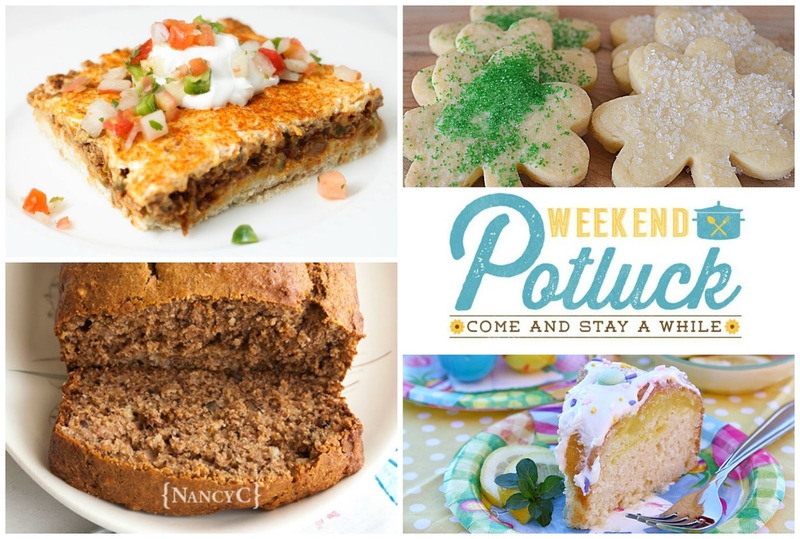 We have some wonderful features this week at Weekend Potluck. These Deep Dish Taco Squares are seriously making me drool. We are a taco loving house here so I know this would be a hit with my crew! 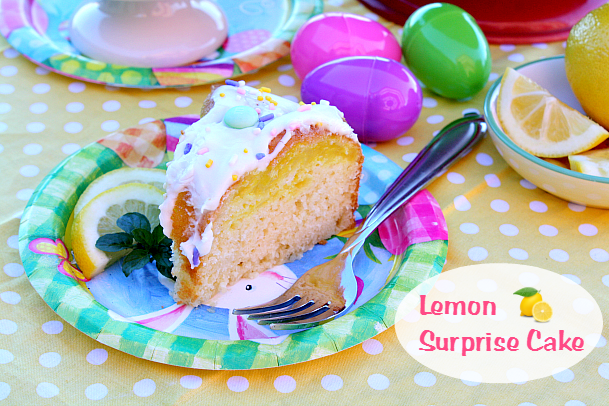 Our other features include Whole Wheat Banana Bread, Irish Butter Shortbread Cookies, and Tina from Mommy's Kitchen brought dessert- Lemon Surprise Bundt Cake. Goodness, who else is hungry? 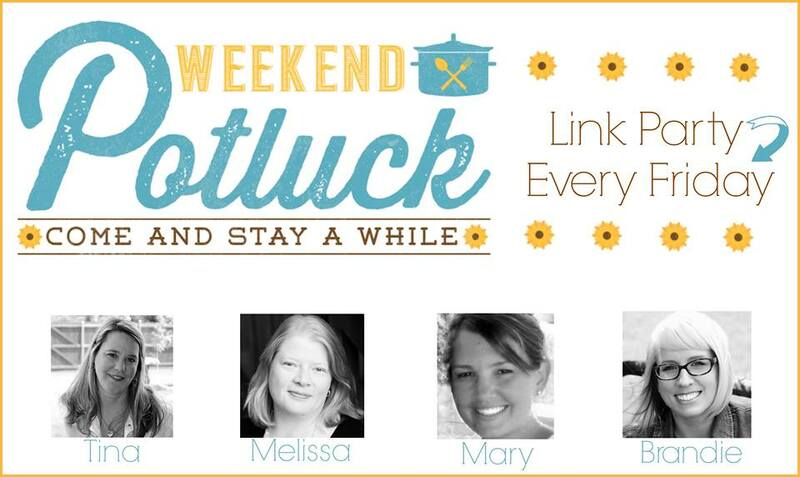 Are you new to Weekend Potluck? 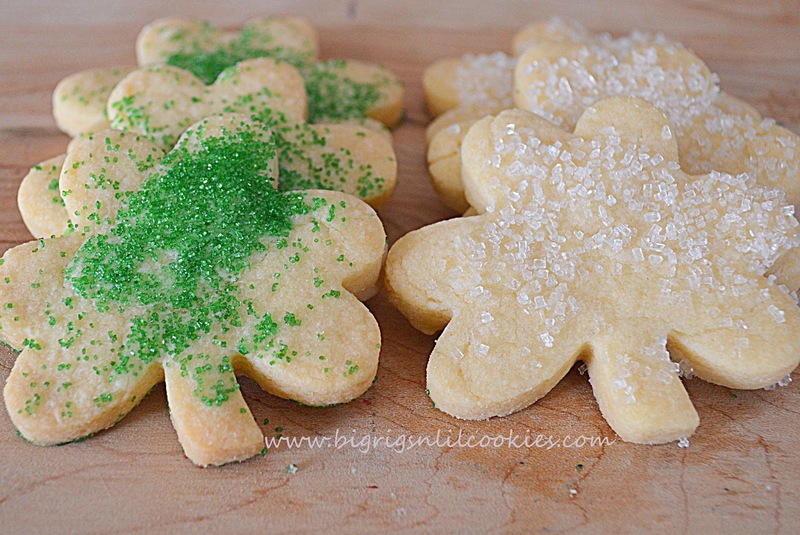 Thank you so much for featuring my Irish Butter Shortbread Cookies!